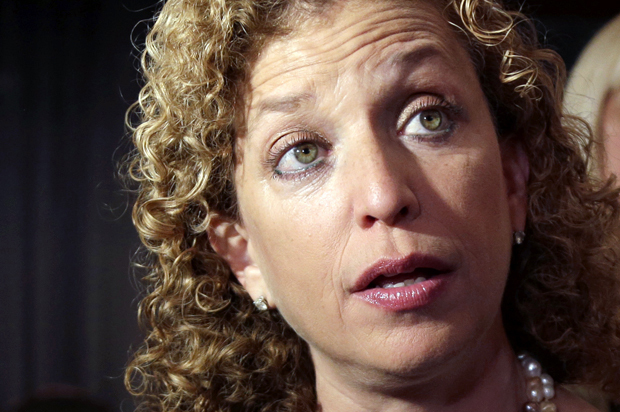 Debbie Wasserman-Schultz hasn’t exactly been kind to the Bernie Sanders campaign. 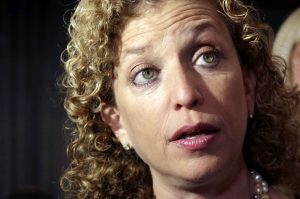 As Chairperson of the Democratic National Committee, Wasserman-Schultz has a duty to see that the party’s primaries are fair and just and that the candidates are treated equally. The Sanders campaign has long complained that they have been treated anything but. Many of the rules the Sanders campaign doesn’t like aren’t new and certainly shouldn’t have come as a shock, such as the use of superdelegates and closed primaries in states like New York, but there have been other things the campaign harped on that were met with a brick wall, such as the debate issue. It was almost as if the DNC didn’t want anyone to watch they were scheduled so poorly. At a time when people were tuning in to watch the Republicans tear beach other to pieces in primetime, the Democrats looked like they were almost hiding their candidates, scheduling debates on Saturday nights during college and pro football’s playoff season. The campaign has little recourse, as they are bound by the rules of the DNC, but Sanders on a personal level has dropped the bomb that he is supporting Wasserman-Schultz’s opponent, Tim Canova, in his primary run against her in Florida’s 23rd congressional district. Canova, a Sanders supporter, is a much closer fit to the senator’s platform than Wasserman-Schultz, especially where dark money is concerned. She has repeatedly voted to keep that money flowing through the halls of corruption, where Sanders and Clinton both have called for it to end. “I am so proud to serve the people of Florida’s 23rd district and I am confident that they know that I am an effective fighter and advocate on their behalf in Congress. Even though Senator Sanders has endorsed my opponent, I remain, as I have been from the beginning, neutral in the presidential Democratic primary. I look forward to working together with him for Democratic victories in the fall. The congresswoman will have to a little bit better of a job convincing people she’s neutral. Actions speak louder than words. ← How Close Are We to Actually Becoming Martians?